(2018) Zersenay Tadese's eight-year-old half marathon world record of 58:23 has been broken. 29-year-old Abraham Kiptum from Kenya, who ran 59:09 in Copenhagen last month, clocked 58:18 in Valencia this morning, October 28. 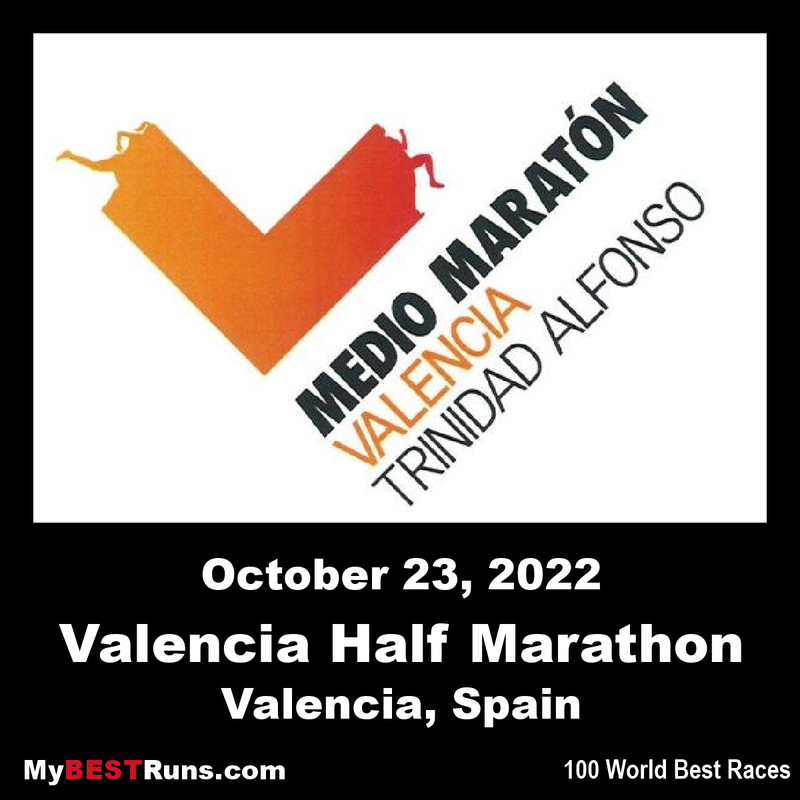 The Medio Maratón de Valencia Trinidad Alfonso is a IAAF Gold Label road race. On a perfect day (a slight wind and 52F, 11C), the race opened according to the plan with the main pack passing the opening five kilometers in 13:56. By 10K, the pace had dropped slightly as the 15-man lead pack went through that checkpoint in 28:02. But shortly afterwards the long-legged Kiptum broke away from the rest of the pack with incredible ease and began to cover each kilometer in a stunning 2:44.